Vital Remnants: In what way was #Trump NOT exonerated? > "He has been legally exonerated. Period. That's not even an issue." 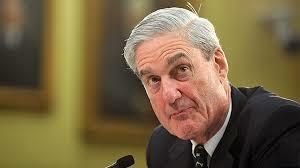 From Mueller's report: "while this report does not conclude that the president committed a crime, it also does not exonerate him"
From Black's law dictionary: "To lift, remove the stain of being called out for blame, liability, or punishment. It is more that just freeing an accused person of the responsibility for a criminal or otherwise illegal or wrongful act. It is publicly stating that this accused should never have been accused in the first place." There is no question that Trump was not exonerated. Given the reporting yesterday, there are questions about whether Barr acted deceptively.